Every so often, a brilliant concept crops up in the exercise field that makes such intuitive sense we trainers just want to slap ourselves with glee. Thus, over the past 20 years or so, balance and agility training for the aging population has offered the fitness world many new toys with which to enhance our athletes’ and our aging clients’ function and performance. Along with these toys, or tools in the right hands, came a cascade of training techniques with their rationales and justifications that made selling supervised exercise easy. Here was an aging market ready to buy in and pay to learn how to walk like their trainer. During the past decade or so, resistance training, while always considered important for overall function, not just physique, became almost imperative for these same aging populations. And only recently has power training made its mark, supported by the belief in the value of the ability to exert force quickly – i.e. more powerfully. Getting out of a soft, deep sofa seat can be done slowly with great effort or quickly with one youthful burst of energy. Combined balance/agility and power training seemed like the perfect antidote to the tottering and doddering generations’ mobility issues. We trainers have been implementing such strategies with the faith that the science was there. We may have been wrong. It turns out that a very well-designed German and Dutch study (MSSE Jan. 2017), tried to determine if power training actually altered gait in healthy adults over 70 years old. One group did power training for the first 10 weeks, then had 10 weeks of de-training; the others did it in reverse. They were all tested on muscle power of the ankles and knees. They also pre- and post-tested on functions such as stair climbing power, endurance, and stride characteristics at 0, 10, and 20 weeks. The expectation was that the training would enhance muscle and functional performance variables, and detraining would weaken these good correlations. Neurology performed as predicted. That is, they got stronger when they trained and they got a bit weaker when they didn’t. Specifically, power increased by ~30% overall, and 17% in the ankles and knees, and persisted even during the detraining phase. But even though their fast (forced) gait did increase, their normal, habitual gait velocity remained the same despite the power gains. The authors suggested that “factors other than improved” power mediate habitual walking kinematics: coordination, neuromuscular adaptations, confidence, executive function, and self-efficacy. 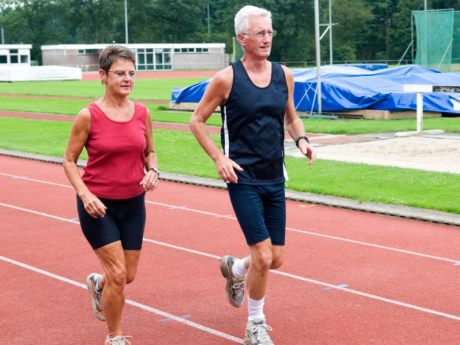 In sum, fear of falling as we age may be why we resort to a slower, more deliberate, shorter-stride gait. As much as we trainers help with the muscular systems, it appears there are still many challenges ahead so far as training against Mother Nature’s self-preservation mechanisms. We’re still working it out. A mountain of evidence supports the ideas that have explained much of what happens to our ability to navigate the world on two legs as we get older. We tend to walk slower, taking shorter strides, and compensate for these shorter strides by increasing cadence, which requires more muscle effort when we have to walk faster. Every lower body muscle has been implicated in this decline. In addition, reduced flexibility of the ankles and hips has been implicated in gait slowness. Of late, more evidence has demonstrated that the ankles are a primary impediment to a youthful gait since the ability to push off at the toes is demonstrably diminished in older subjects of many studies. As I wrote in FitHappens (https://stepsfitness.com/fit-happens-summer-2016/ ), the ankles seem to be key here. But then along comes a study like the one above and all bets are almost off. Improving muscle power apparently did not change gait characteristics of normal, habitual walking in older adults. Is all that work we trainers have done with our older clients been for naught? Another study, from Finland, in the same journal (MSSE Jan. 2017) went about it in a different way. 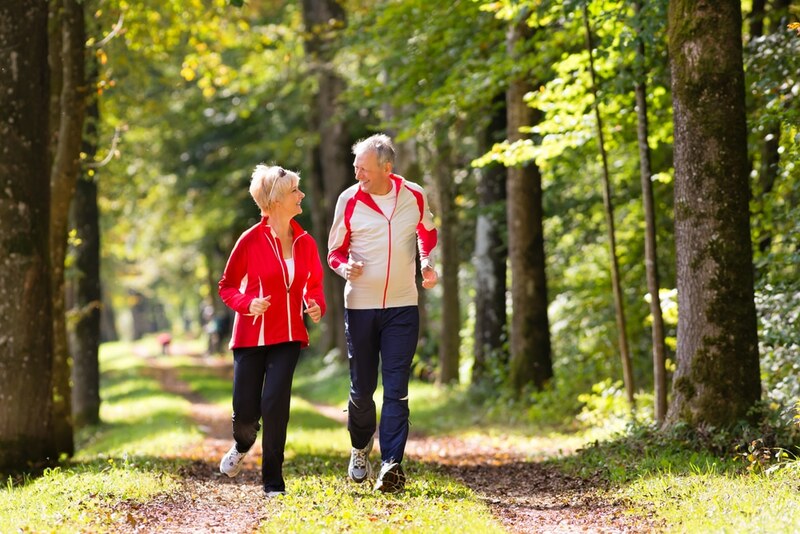 They investigated the “age-related difference in triceps surae [calf muscles]-tendon function during walking” to see if they had a role in the reduced walking speed of aging men. 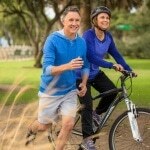 They compared the muscle characteristics, using ultrasound, of young (~25 y/o) and older (~73 y/o) men at their preferred walking speeds while walking. It turns out that older men’s muscles shorten at slower velocities at their preferred pace but shorten at the same rate as younger men’s when walking at a matched pace. Their conclusion: weaker calf muscles that don’t propel the ankle during walking are one reason older people walk slower – to use them more efficiently. However, forced to walk faster, their muscles respond the same as younger people, just not as efficiently. How does this jibe with the feature article’s conclusions? 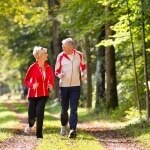 Well, needless to say, age takes a toll, and brings the gait changes that occur with age. 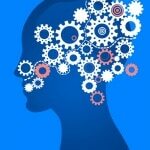 But neurological and psychological changes also factor in. The one take home message from all these discussions is – keep walking. It’s so darned good for you! As a gym that’s been around for over 27 years, it’s easy to take for granted that we will see the same happy faces day after day, week after week. But each successive day and each added week means our friends are getting older, too, not just us gym owners and fellow trainers. So with the loss of some of our friends, this Spring has been one of those sad ones that forces us to face our own aging process as well as our own mortality. Margaret Ann Robinson, who has trained vigorously and courageously for over 8 years to keep herself mobile and active in the Nashville community, especially with the Nashville Library, passed away in April. Despite using walking aides, she never allowed her aches and pains to get in the way of her thrice weekly training sessions. She had a perpetual smile along with a determined focus as she pulled on elastic tubes and performed core and lower body exercises so that she could walk out, and back again, with humble grace and ever-friendliness. Her determination inspired her younger – that is, those over 65 – colleagues who realized that, if she can do it, so can they. Ninety-two years young, Margaret Ann will be missed but her spirit her will carry many others along each day, week after week. Then in early May, another Nashville force, again quiet, humble but utterly effective, Bernard Werthan succumbed to years but not old age. When I first met him, he wanted help with an exercise program he would do a few times a week at the Y, as he’d done for over 40 years. Now, though, he wanted assistance with exercises to help him maintain balance and mobility. A few tweaks and added exercises was all he needed. Very few clients in my 30 years in the training business have actually taken them back to the gym to do consistently. Bernard kept notes and records and reported back regularly to almost force me to work him harder. As a member of the broader Nashville society, he was heavily involved in interfaith relations. Like Margaret Ann, he was quiet in his efforts but loud in his effects, and he was an inspiration to all around him, and will be at least to this old trainer for years to come. Finally, Parker Hilands, who came this spring to try and rebuild his strength and vigor after a sequence of cardiovascular surgeries and unrelated complications, died after undergoing a successful brain surgery due to complications with recently-diagnosed ALS. Despite or maybe because of his rather sudden loss of muscle mass and energy, Parker knew that strength training was the only way to get back in the game. Circumstances cut short his opportunity to make a full go of it but not for lack of willpower and desire. Parker demonstrated, as so many with chronic diseases do, that, like the great hockey player, Wayne Gretzky, once said, “You miss 100% of the shots you don’t take.” Or, as Parker’s life might attest, you don’t get anywhere if you’re unwilling to try. Happy Birthday, Rock Steady Boxers!!! April marks the one year anniversary of Colleen Bridges’ boxing classes for people with Parkinson’s disease, Rock Steady. After suffering the first 2/3 of that year in the small confines of the Nagel Room, she and they now have space and equipment to carry out the program’s functions. The cardio, musculoskeletal, flexibility, vocal power, balance and coordination benefits, not to mention their wicked hooks and upper cuts, have been experienced not just in class but beyond. The social support aspect of the class has been remarkable to observe. Kudos to Colleen and her many assistants and volunteers, and especially to the class participants, for making Rock Steady work. For more information on Colleen’s classes call her at 615-944-3284. Raquel, our long-time massage therapist and rock star, also has two classes a week where she teaches relaxation, gentle stretching and Om-finding. That is, finding your personal ‘frequency’, the sound that helps you relax. For information on these classes, call Raquel at 615-397-4470. Stephanie Kemp, who gave birth to her third child, Scarlett, on February 15. Marianne Wilson, who gave birth to her second child, Rone Wilson Harris, a 9 lb, 8 oz. hunk, on March 30. Adam Matacale, whose wife gave birth to their first child, Willa Elizabeth, on November 30.